A process fluid plant with built-in purifier using no filter media. 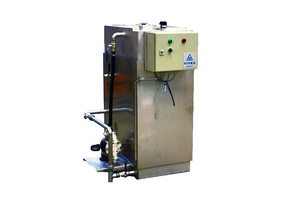 The unit is built in stainless steel and is used for purification of industrial washing fluid and cutting coolants. The furification system separates contaminates as tramp oil and solid particles from the process fluid. The purification system consits of resuseable bag filter for particles and lamella separator for separation of tramp oil. 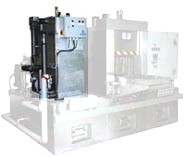 The machine is complete and can be used by connecting to the process line after connecting electricity, water, and compressed air. Central coolant management system for maximum 5 machines.